Experience the pinnacle in Women’s Golf with Fairways Scotland, Authorised Tour Operator for the Solheim Cup. 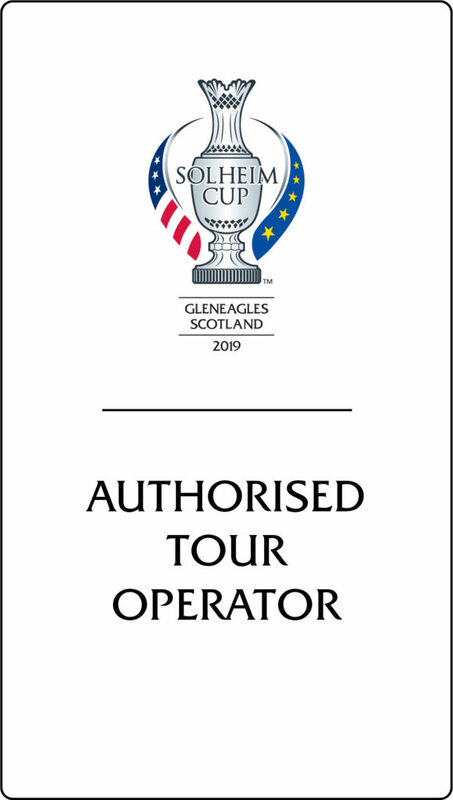 We are offering a range of Solheim Cup Packages 2019, at Gleneagles, Scotland. The 16th edition of The Solheim Cup will take place at Gleneagles from 9th to 15th September 2019 and will be battled out over the PGA Centenary Course, which also hosted the men’s Ryder Cup in 2014. Gleneagles is proud to be hosting its first Solheim Cup, however this is not the first time the event has been held in Scotland. Dalmahoy Country Club was host to the Solheim Cup in 1992 and Loch Lomond was also a venue in 2000. At the moment, Team USA hold a strong lead 10-5 in The Solheim Cup standings, therefore Team Europe will certainly be up for the fight in what will surely be another wonderful event in Scotland. During your stay in Scotland’s magnificent capital, you will enjoy 2 days at The Solheim Cup at Gleneagles, play 2 rounds of golf in East Lothian and have the opportunity to explore the beautiful sights in Edinburgh. Enjoy the full experience of The Solheim Cup 2019! 5 nights accommodation included at the 4 star Crieff Hydro Hotel along with season passes for The Solheim Cup which allow access to the event for the full week at Gleneagles. Spend the first 3 days of this Solheim Cup Tour in Dundee and play 2 fantastic golf courses in the area. After enjoying some golf, you will spend the following 3 days at The Solheim Cup 2019 at Gleneagles. This luxury Solheim Cup package includes 3 nights’ accommodation in the stunning highlands followed by 5 nights at ‘The Home of Golf’, St Andrews. Enjoy the sights, play 2 top golf courses and spend 3 memorable days at the Solheim Cup. Large party looking to attend The Solheim Cup? Then this is the perfect package for you! Enjoy your own home from home staying at the luxurious Hawkswood Country Estate, just a few miles from St Andrews. Attend all 4 days at The Solheim Cup, and play 2 rounds of fantastic golf in the St Andrews area. Enjoy the 2019 Solheim Cup in style! There are 3 different hospitality packages on offer from formal to informal. Get right close to the action with amazing views of the course along with great food & drink!